This week we’re talking about parenting philosophies at Natural Parents Network, such as attachment parenting, radical unschooling, and the like. 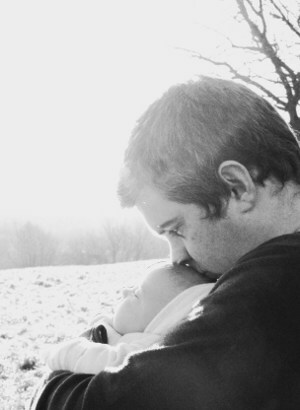 For Wordless Wednesday, we asked: What does your natural parenting philosophy look like? Physical closeness is important for both the mommy/baby pair and the daddy/baby pair. 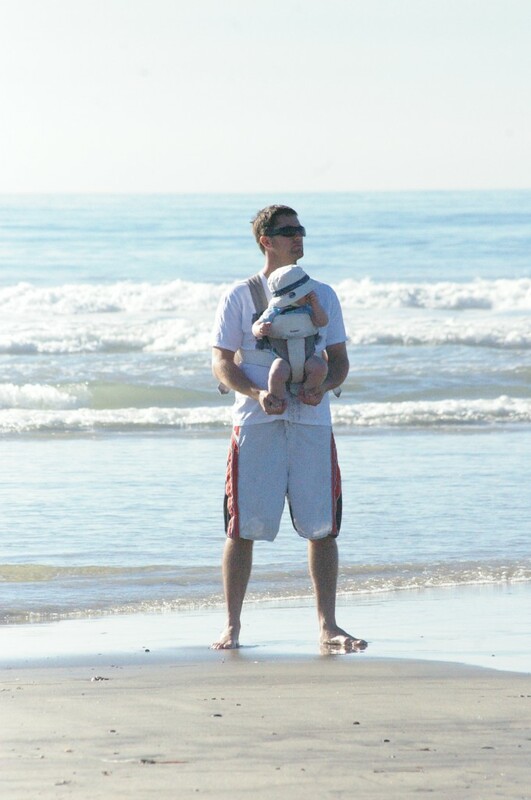 Daddy and 8-month-old Brady get in some bonding time at the beach. Aelyn at 1 year taking a nap while snuggled close to mama in the Ergo. Aelyn is currently still enjoying her nursies at 18 months. Four-year-old Layla still loves mama cuddles, too. Family bed for a family of four. This is an example of feeding with love and respect. Mama Mo lets her 11-month-old twins feed themselves; it’s an exercise in independence and sensory exploration. 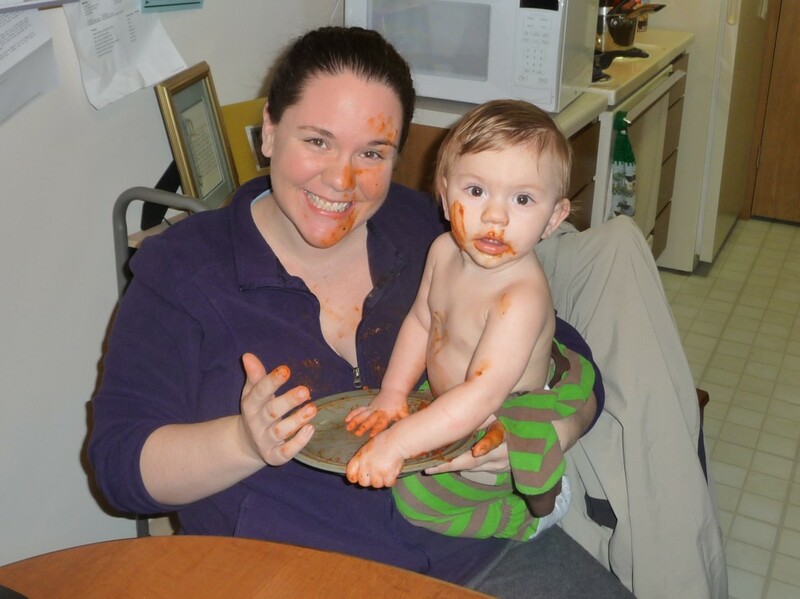 Spaghetti is good to eat AND it feels so neat! 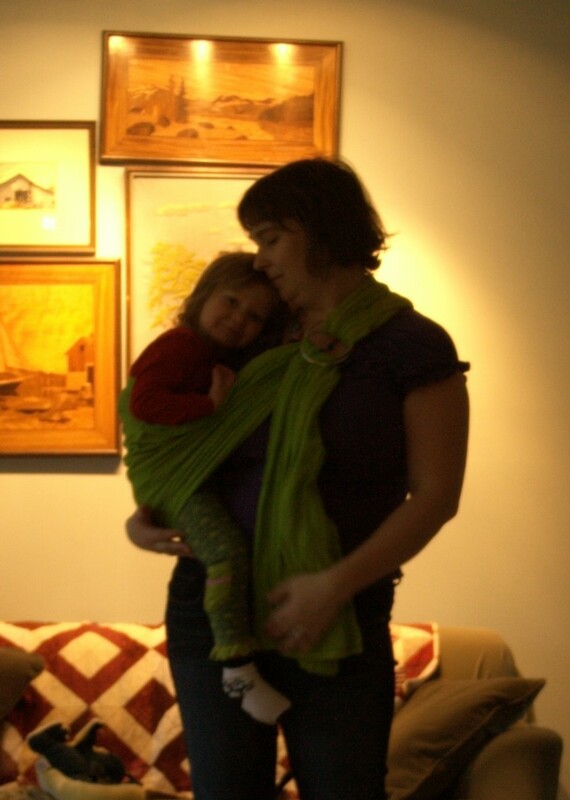 Samantha and her 3-month-old son in a Moby wrap. Samantha blogs at Mama Notes. Tell us: What does your parenting philosophy look like? For some more parenting philosophies, enjoy this week’s articles so far and check back the rest of the week for more! I love that bed set up Simple Whimsy is using! 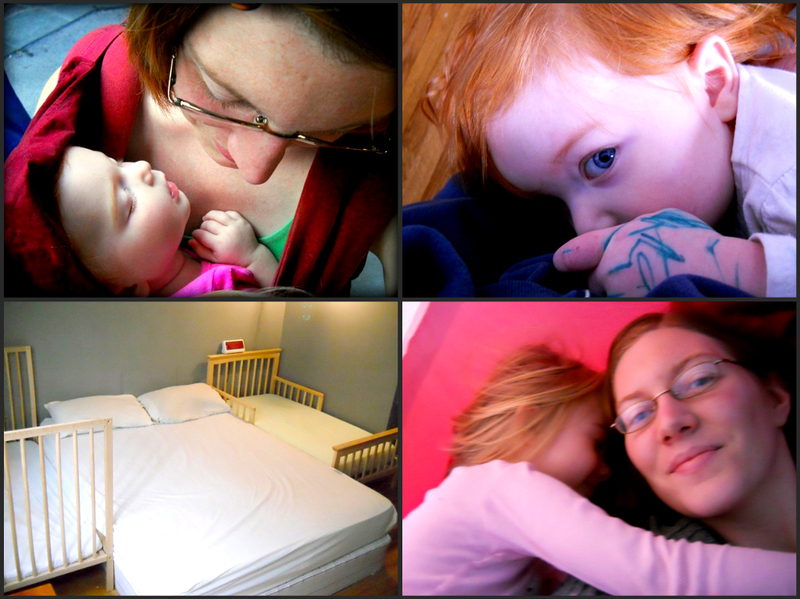 I used a toddler bed as a sidecar with my older daughter. It was SO convenient! And that spaghetti! Kudos to Mama Mo! I love the last one. My 3 year old still cuddles in my lap for breakfast time and it is one of the best parts of my day. 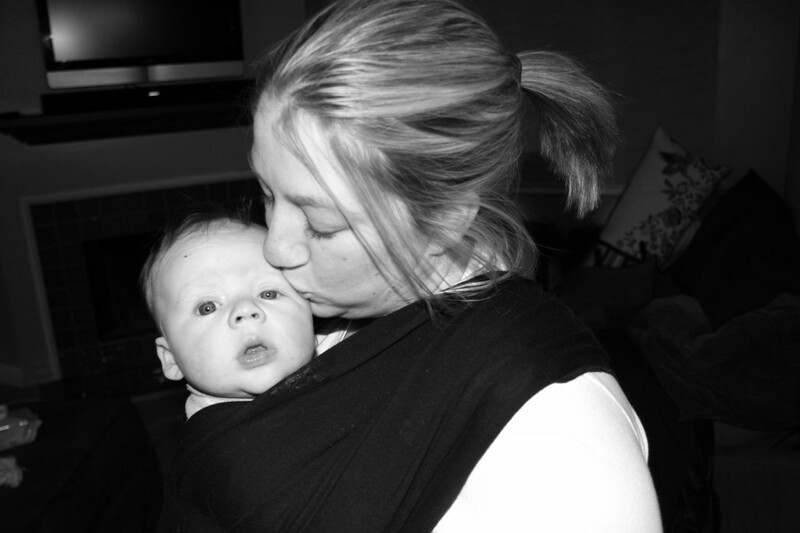 I miss my son being so close to me in the Moby Wrap! You explain it exactly. Warm and safe. Having the ability to have both hands free and have my baby nestled against me…It was worth the extra body heat even though I do live in FL. I love your approach. Seeing daddy’s wearing their babies always melts my heart. These are beautiful. Thanks for including us this week! Showing our parenting philosophy would require (at least) two photos: one showing the cuddles, and one showing the Critter venturing out into the world, perhaps running ahead of me at the park. For us, attachment means both intimacy and freedom. Ack, sorry for the typos! That was supposed to be daddies. The bed set up is great! It’s pretty hard to think of a single photo that shows our parenting philosophy, but I think that these photos all show moms and dads with a strong attachment and healthy sense of humour. 🙂 I love seeing babywearing daddies too. Oh those dads kill me! There is nothing sweeter than a dad wearing his child IMO. My kiddo won’t let me babywear anymore. I miss it!